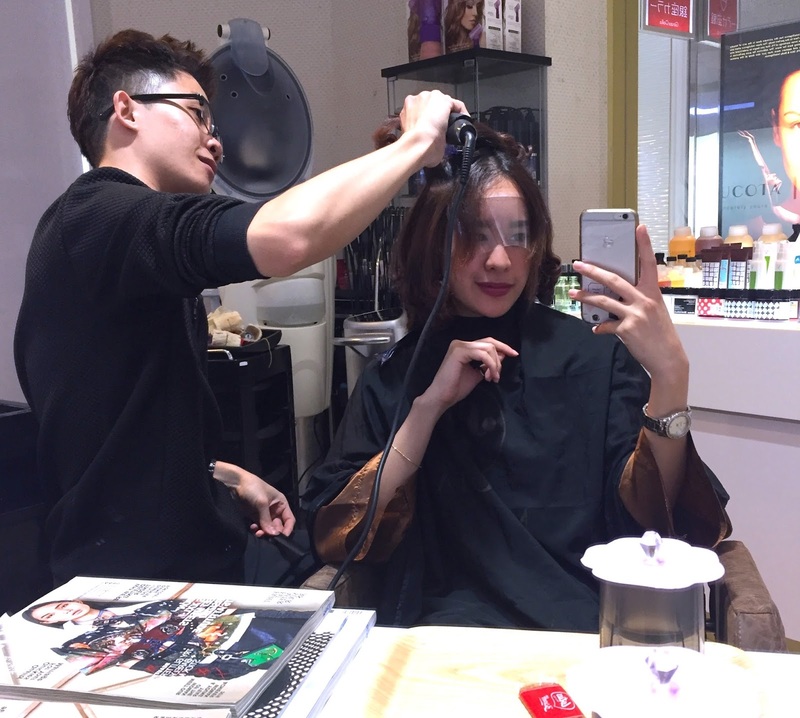 KIMINPEI: Hair Makeover at Kenjo Salon! Change is something I’ve learned to embrace. It’s new, it’s exciting, it’s different - I’ve grown to love change. Physical change was frequent and common – every time a make-up artist worked her magic on my face, I’d always gawk in wonder at how simple products could do so much to enhance our looks. When I did hair shows with L’Oreal Professionnel or Toni and Guy, I’d always get so excited about the entire process, to experience the change and watch the makeover unfold. Earlier this week, I dropped by Kenjo Salon, the official concept store for Japanese technology MUCOTA. My stylist, Justin, and I talked about my hair concerns – I’ve natural curls, which tend to get dry in our warm climate – the problem is only made worse with the amount of things done to it with hair shows or photoshoots where I can’t assure top-notch care for my tresses. Justin nods as he listened to my concerns, and suggests a Volume Rebond, with Curls at the tips. I liked it already – sounded very Korean to me. “We’ll go shorter too. Let’s snip off the past.” And with that, we did! We chopped off the dried ends, fried from countless rounds of bleach. What remained was a chic-french bob, barely grazing my collar bones. The new Kim that sat before me in the mirror stared back strangely, but yet there was a deep sense of comfort which resonated through it all – “You’re really brave yknow,” I told my stylist Justin, who simply smiled in response. He remained focused on navigating his way through the sections of my hair with great control and confidence. What was previously a common shoulder-length hairstyle was now a fresh bob cut that I’d immediately grown to love. We talk about how this is a popular choice amongst ladies who patronize Kenjo Salon. With the rise of the Korean Wave, girls and boys of all ages are jumping on to the Hallyu Bandwagon, and it all begins with Korean Hair. This brought me back to Singapore Fashion Week 2015 when Celebrity Korean Hairstylist Cha Hong from Cha Hong Ardour showed how hair could do much to change up boring old looks. Her team worked tirelessly on my hair and what Justin was doing today reminded me so much of those times. Singaporeans who know Cha Hong tend to plan trips just to get their hair fixed there – but now with Kenjo Salon offering such services, with promised nourishing treatment along the way, I definitely would not bother going the extra mile (literally) to Korea, just to fix my hair. 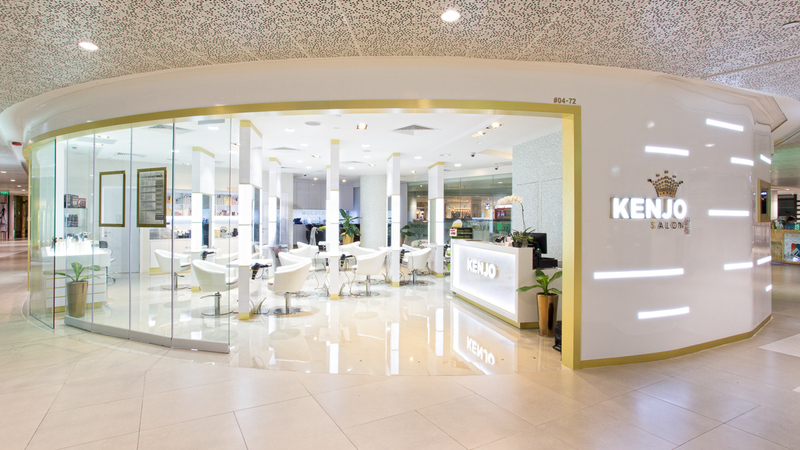 It’s all available at Kenjo Salon, right in the heart of town. By this point, my hair has been conditioned and nourished – and it’s time to add the c-curls in! This was entirely new to me because I’ve natural curls, and never saw the need or possibility of curling my hair. But yknow how it is – my natural curls wouldn’t be as defined or perfect as how I’d like it – so having them permed was equivalent to training them to sit prettily. I was really keen to see how they’d fair! Justin checks on the curls ever so often – they’re hooked up to heating wires in the meantime. After everything, Justin applied the nourishing neutralizer into the length of the hair, and set some treatment oils in once more before the final blow-out. I remain tremendously impressed by Kenjo Salon’s hospitality and service – I walked in with a confusing hair history, speckled with the damage from countless bleach-jobs from past hairshows. 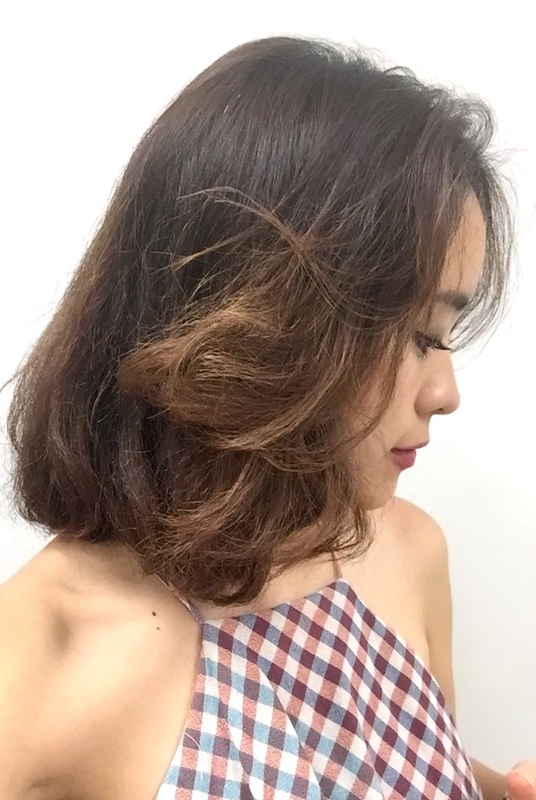 I never thought my hair texture could support my dreams of spotting the classic timeless chic bob – but MUCOTA and Kenjo Salon made it all possible. Having once dabbled in the world of accounts and numbers, Justin is living his dream as a hairdresser now. But if you’re thinking he’s done with calculations – he isn’t. 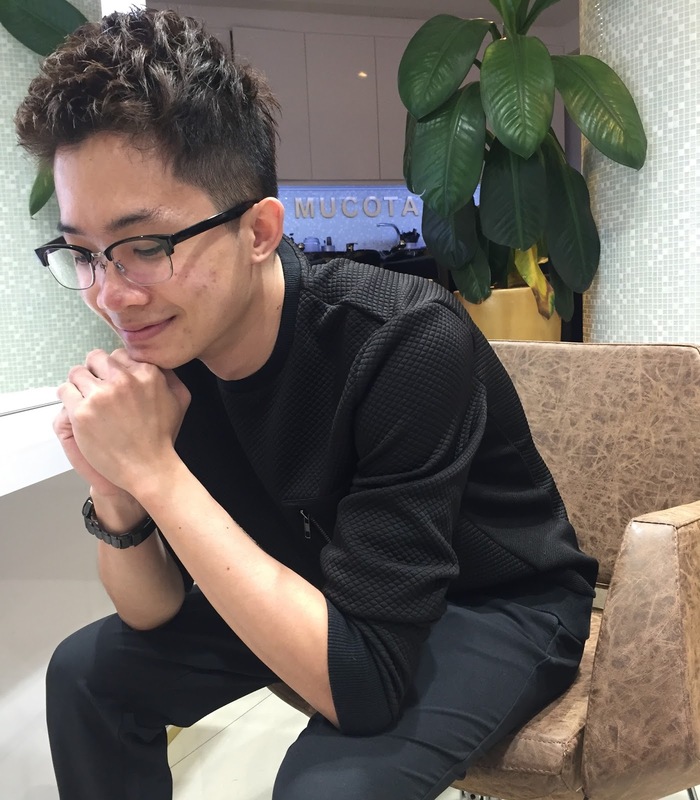 Throughout my evening at Kenjo Salon, Justin watched carefully as the MUCOTA Treatment nourished my hair, calculating perfect timings for when the curls would set in just right, and ensuring I was comfortable every step of the way. With so many years of experience under his belt, I got curious as to what Justin’s favourite part of hairdressing was. “Short cuts – especially if it’s a big change from long hair to a short cut like yours!” You can tell when your stylist is sure and confident of what he’s doing when he handles the mess (that is your hair) to become this today.